Your one-stop portal for disaster preparation, management and recovery. 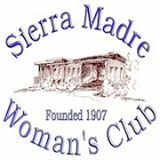 Sierra Madre CERT is a 501(c)(3) nonprofit organization that is here to serve the community of Sierra Madre and our surrounding neighbors. 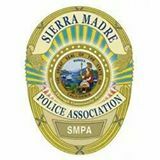 We operate under the direction of the Sierra Madre Fire Department. Donations are welcome. Please consider helping us to help the community prepare for, and work through, large-scale emergency situations. Checks can be made out to Sierra Madre CERT. Or drop donations off at the Fire Department. If you do not yet have a Ralphs REWARDS card, they are available at the customer service desk at any Ralphs. ● If you have not already registered your Ralphs Reward card online, register at www.ralphs.com, Be sure to have your Ralphs REWARDS card handy. ● After you log in online, then click on 'MY ACCOUNT' scroll down to Community Rewards - Enroll. ● Members must swipe their registered Ralphs REWARDS card or use the phone number that is linked to their registered Ralphs REWARDS card when shopping for each purchase to count.